Reablement - What is reablement? - What support is included? How does reablement help the patient? The main focus of reablement is on restoring independent functioning rather than resolving health care issues. The objective is to help people relearn how to do things for themselves rather than the need for them to leave the home and spend time in a care home. If a person is referred to a reablement service, reablement workers will visit them in their home, assess their abilities and needs and then agree measurable goals. Over the next few days or weeks the individual will be supported to regain physical function, relearn skills and if necessary learn different ways of doing daily tasks such as meal preparation, washing and dressing. The team consists of a mix of care workers from the NHS and social services that will help the patient regain independence. They’ll start with an assessment that looks at what the patient can do. Targets will be set within a plan that is agreed between the team, the patient and where relevant the patients family. The plan will include a contact person who’s in the team and the times and dates they will visit. When care workers visit the home they will discuss the needs of the individuals and create an individual care plan. This typically includes a breakdown of individual tasks that the team will help the patient with during reablement. The amount of help needed varies with each person and their individual circumstances. They may need only a few visits each week or several visits a day. Over a period of several weeks, as set out in the initial care plan, the amount of help received will reduce quickly as the patients confidence and ability improves. 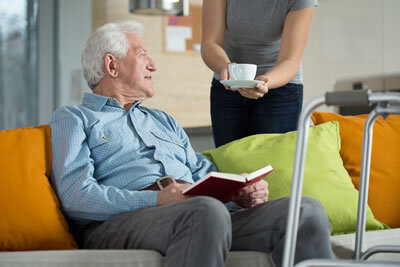 At the end of a period of reablement, most patients can live independently at home. If the support hasn’t helped the client fully regain their independence, the situation will be reviewed and discussions regarding longer-term care and support will typically be offered. Understand the importance of reablement support. Knowledge of the roles within the team. How to record, monitor and assess progress through the care plan. Types of help and support available. Why the service is successful and what happens next. Next Next post: What is a Paediatrician?